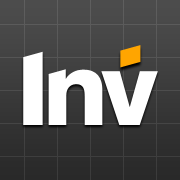 Investing.com is a definitive source for tools and information relating to the financial markets such as real-time quotes and streaming charts, up-to-date financial news, technical analysis, brokers directory & listings, an economic calendar, and tools & calculators. The site provides in-depth information on Currencies, Indices & Stocks, Futures and Options, Commodities, and Rates & Bonds. With a growing readership worldwide, Investing.com is a leading global financial portal that is constantly committed to launching innovative features and sections to ensure an optimal one-stop source for its readers. Investing.com has over 70 employees in offices throughout the world including Cyprus, Madrid and Tel Aviv . With over 3,800,000 unique users per month, and since being founded in 2007, has become among the top 40 financial sites worldwide.